Gymnast, Samantha Cerio had to end her career after a horrible injury. 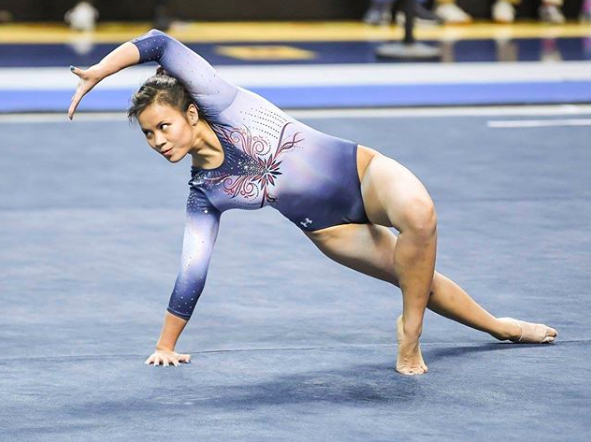 United States gymnast Samantha Cerio has announced her retirement from the sport after sustaining a gruesome injury during the National Collegiate Athletic Association (NCAA) Baton Rouge Regional event. Cerio, who represented Auburn University, was severely injured during her floor routine, breaking both of her legs after a catastrophic landing on a gym mat. The gymnast was just in the beginning of her floor routine when she attempted a handspring double front flip with a blind landing on her first tumbling pass and landed on the mat with her legs going backwards. Unable to move following the horrific landing, Cerio received immediate help. She shared a very emotional message on her Instagram.